Date of Birth Certificate from the CMO/Birth & Death Registration Office or any other competent authority as per the Government rules. 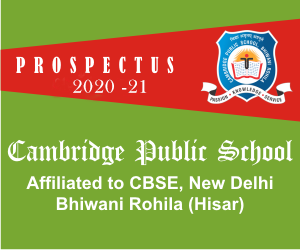 Original Transfer Certificate from a school affiliated to the Central Board of Secondary Education. Original Transfer Certificate duly countersigned by the District Education Officer in respect of students coming from other board/ recognized/unrecognized private schools.